Bob Peters, the mastermind behind Ritz Carlton’s Punch Room bar in Charlotte, North Carolina, sits down with Caity and Kat to talk mixology and gardening. 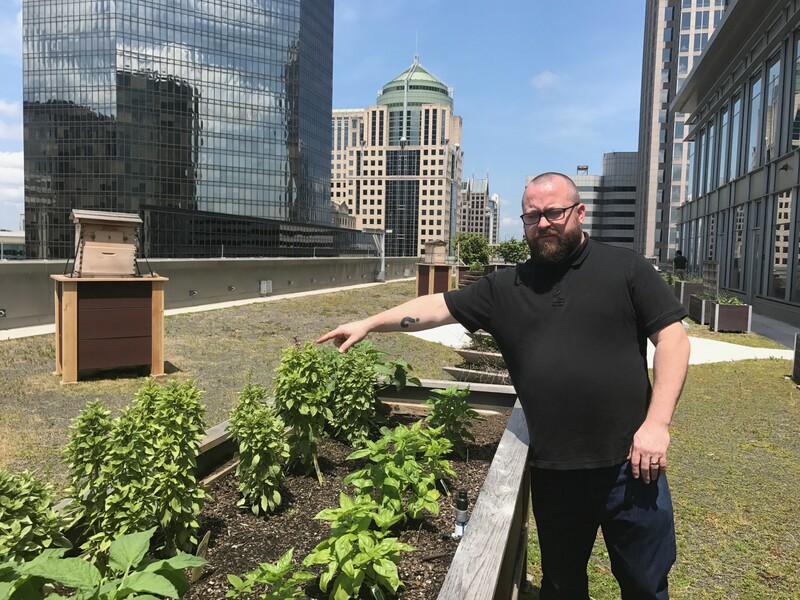 He praises Charlotte’s growing urban agriculture scene, supported by the Piedmont Culinary Guild, which connects Charlotte chefs with local farmers. Bob manages a rooftop garden of tropical fruits, vegetables, and herbs– even harvesting honey from his two active beehives!– for true control of flavor in his inspired cocktails. Bob describes Caity’s favorite cocktail, the Buzzed Bunny, which features aged Cardinal barrel-rusted gin, pressed carrot juice, Italian sweet vermouth, and a Saint Germain foam ladled into a delicate, Hruska glass poppy.